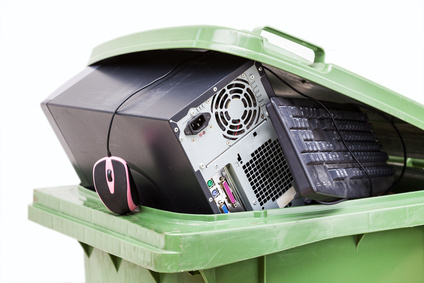 Don’t dispose of e-waste in your normal rubbish collection - contaminants such as lead, cadmium, beryllium and the like pose significant health risks to individuals and communities – but what then do you do with it? Here’s a website with an easy answer. Find your nearest Collection Sites, Recyclers and Refurbishers on the e-Waste Association of South Africa website www.ewasa.org – look for the drop down menu “Recycling” to see what’s what in your area. We’re talking “anything that runs on electricity” here - discarded computers, entertainment electronics, mobile phones, household appliances, spent fluorescent tubes, batteries, battery-operated toys etc. Security Note: Remember to wipe all memory and hard drives thoroughly before disposal – otherwise your sensitive information (think account details, credit card numbers, company secrets etc) could easily end up in the hands of criminals.